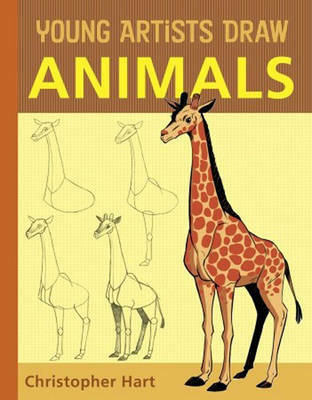 This book serves up fun and easy-to-follow child-friendly art instruction on drawing animals. The second title in Christopher Hart's new "Young Artists Draw" series for kids, which focuses on subjects that children love to draw, serves up fun and easy-to-follow child-friendly art instruction on drawing animals, a tried and true favourite of young and adult artists alike. "Young Artists Draw Animals" shows budding artists how to draw all their favourite animals, familiar household pets, as well as exotic animals from around the world.